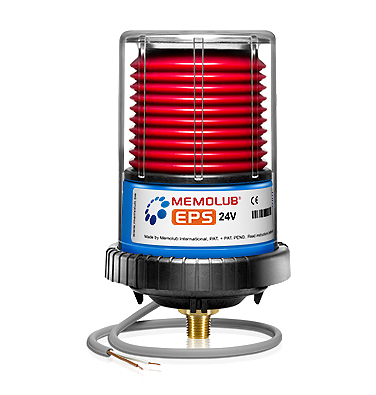 The MEMOLUB® EPS is an externally powered electromechanical lubricator that can be installed on a single lube point or coupled with a progressive distribution valve to lubricate from 2 to 12 points. 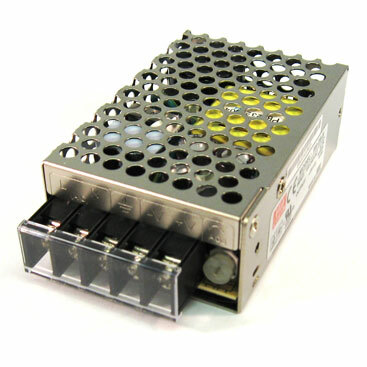 This model requires an external 24VDC power source. 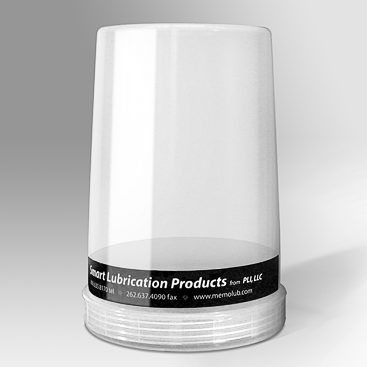 The MEMOLUB® EPS lubricator automatically delivers a small, precise amount of lubricant at regular intervals for an continuous supply of fresh lubricant directly to your lube point. 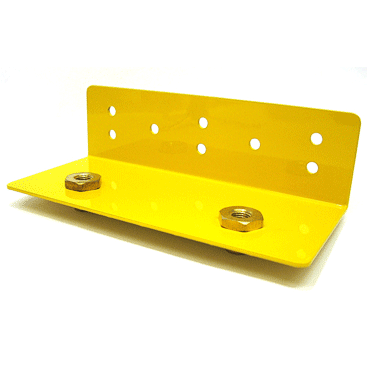 Prevents over and under lubrication problems related to manual lubrication. 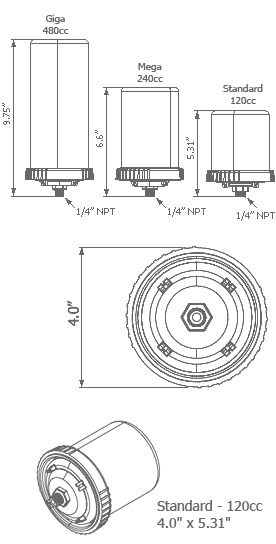 All MEMOLUB® EPS models use the same motor base assembly, making it easy to convert from one lubricant capacity to another by simply purchasing a low cost transparent housing kit. 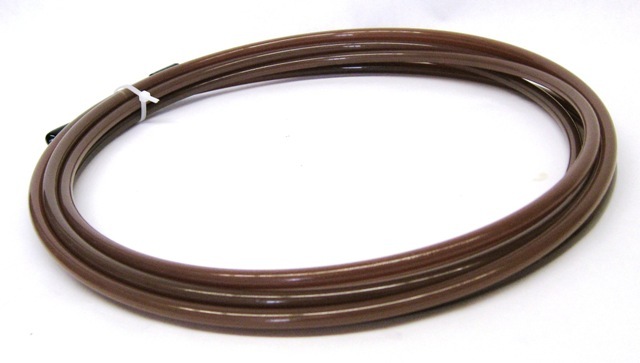 The MEMOLUB® EPS is supplied with a 12" wire lead that is connected to an external power source. 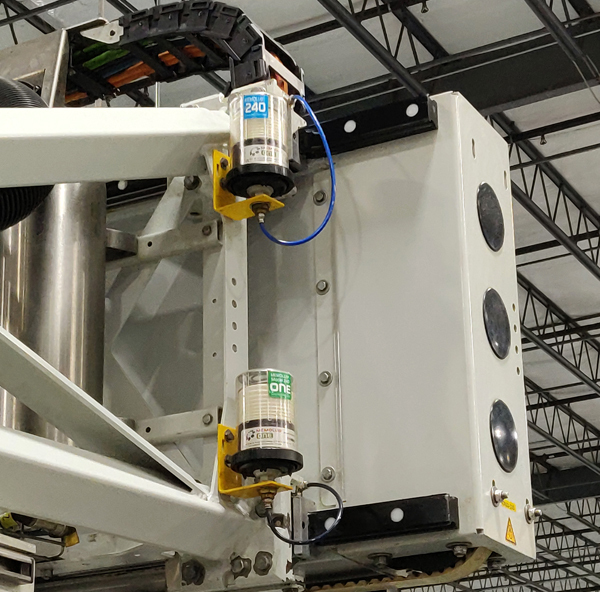 A constant 24VDC power is supplied during periods of machine operation and will continue to follow the program until power is removed. When initial power is supplied to the MEMOLUB® EPS lubricator it will cycle once and then follow the preset MEMO program. 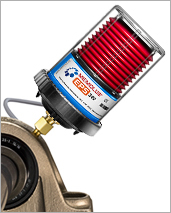 When power is turned off the lubrication cycle stops until power is reestablished. 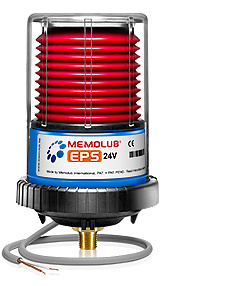 The MEMOLUB® EPS lubricant output is programmed using the simple MEMO system. 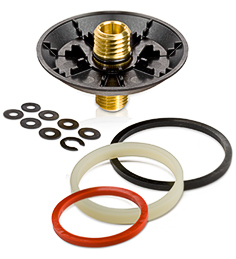 It consists of a brass MEMO fitting, a black plastic timing-ring holder, and three plastic timing rings (one white, one red, and one black). The MEMO can be programmed to control both the frequency of lube cycles and the volume of lubricant discharged. 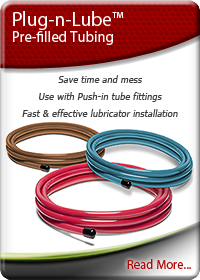 Once the MEMO is programmed and installed any MEMOLUB® EPS lubricator will recognize the settings. There are 7 basic frequency settings that are suitable for most industrial applications. They are programmed by installing one or a combination of the three colored timing rings into the ring holder attached to the brass fitting. When you screw the MEMOLUB® lubricator onto the brass fitting, the timing rings depress the switches on the bottom of the lubricator. This activates the lubricator program. 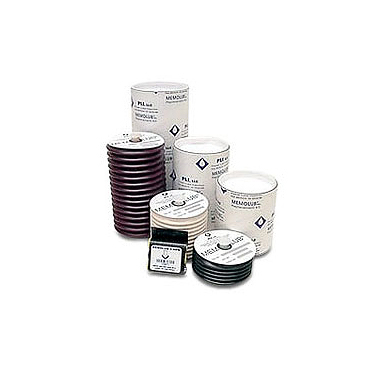 Note: The "Months to Empty" is based on continuous use of the MEMOLUB® EPS lubricator. The lubricant cartridge will last longer with intermittent use. 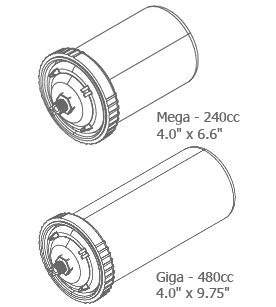 Included in the MEMO kit is eight spacer washers for adjusting the amount of lubricant discharged per lube cycle. Installing one, or a combination of all eight washers, into the brass MEMO fitting will limit the stroke length of the piston inside the lubricator. 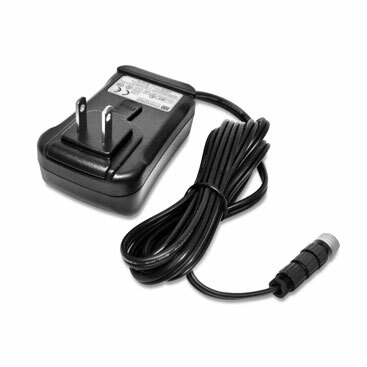 Run the MEMOLUB® EPS lubricator off any 110VAC outlet with the plug in power transformer.